Is your bearded dragon insured? Get a quote for £1,000 of vet fees, death and theft cover. Vet fee cover only also available | We've been insuring exotic pets since 1996 | Check out our customer reviews on Feefo. Table of contents: Why is my Bearded Dragon shedding? | What are the signs of a Bearded Dragon shedding? | What to do for a shedding Bearded Dragon? | My Bearded Dragon is not shedding properly | Stuck shed on Bearded Dragons and substrate | Stuck shed on Bearded Dragons and lack of nutrients | How long does it take for a Bearded Dragon to shed? | Shedding and not eating | Why is my Bearded Dragon not shedding? Why is my Bearded Dragon shedding? Bearded Dragons will shed due to either growth or replacing damaged skin. From 0 - 6 months old shedding is an almost weekly occurrence. This is simply down to the growth of your Bearded Dragon. So take that as a good sign. Our Bearded Dragons skin is made from a keratin based protein. It’s also not porous or elasticated like ours. So with growth, comes shedding. Imagine trying to fit into a tight shirt or blouse. You will just end up ripping it, or popping the buttons when you sit down, or move. That's much the same for beardies. The shedding progress varies depending on age. During those vital growing months (0-6 months) the shed will more often than not be an all over shed. Often only taking a day or so to complete. From 6-12 months when most of the 'rapid' growth is done the shedding will be less frequent. Probably every couple of weeks at 6 months, moving to around once every couple of months at 12 months. After 12 months your Bearded Dragon will shed even less frequently. At around 18 months when growth in terms of bone and muscle is done, a Beardie will only shed a couple of times a year. Think of this as more of a change of clothes than anything else. Beardie's skin surface can get damaged, dirty, scraped and battered, due to their environment. So a shed of old skin is needed for a fresh protective layer. What are the signs of a Bearded Dragon shedding? The skin will become very tight when a shed is due. You will also always see a change of skin colour. It will always be dull, and eventually turn white pre-shed. This is totally normal, so don't worry. What to do for a shedding Bearded Dragon? Honestly, the best thing to do for a shedding Bearded Dragon, is to leave them alone to get on with it naturally. They have evolved over millions of years to not need assistance in the way of baths, oils, or other nonsense I've witnessed. These will all will be used to loosen and dislodge a shedding body area. And of course quality UVB is essential. As is the correct heat and light gradient. Supplements; diet and hydration also all play a huge part to this natural process. You can buy substrate, vivarium decorations, heating and lighting equipment from the Northampton Reptile Centre. A bath will help to an extent. But only for skin that has already cracked and is flaking off. As our beardie's skin is 100% water proof the skin needs to be broken in order for any water at all to affect the shedding areas. If the skin is unbroken, or not even shedding yet, then all you will have with a dragon in the bath, is a wet dragon I'm afraid. Upping the vivarium/tank humidity is another common practice. Again, this helps to an extent as it’s also a hydration option - a hydrated Bearded Dragon will shed far more efficiently. This is also a very natural solution for them. As naturally and instinctively as in wild conditions, they will dig burrows. These burrows often being 8 to 12 inches below the surface. Inside these burrows, the humidity can reach 80% without any struggle. This moisture within the burrow will help soften any shedding skin. A little extra humidity in the evening and morning will help too. Personally. I spray my enclosures for a few seconds in the morning and evening regardless of whether my Beardies are shedding or not. I have always done this. This for me simulates a very natural morning and evening dew (mist/fog) to which our Bearded Dragons will actually utilise as a hydration method if needed by licking the décor. Or having the water drip down their heads, and directed into the mouth via their scales and ridges in what is known as a capillary action. This has certainly served me well over the years. This will also naturally bump up that humidity (simulating their burrow as already mentioned). Which we know can help the shedding process. I have seen many use Aloe oils and the 'Shed Aid' product, but for me, I've seen it give little to no help at all. As again, when a skin is 100% waterproof, what is the point of adding these potions and lotions? Any benefit will be on already cracked and shedding skin, as any moisture can get between the fresh and shedding skin layers and help that way. One thing you must never do though, is pull skin off, or peel skin. I've witnessed many reptiles, not just Bearded Dragons, get damaged skin/scales due to keepers “aiding” the shed process. This does cause them pain and can lead to infections, so don't do it. Pete's article Information and Facts gives lots of useful Bearded Dragon information that you may find helpful. Of course, issues can arise when shedding. Although honestly, if all is provided within your husbandry as already mentioned (various surfaces; lighting; hydration; diet etc) then issues shouldn't happen. Again this is something they have been doing for millions of years on their own without issue. But it still can happen. I've seen a few things over my years keeping. And to be perfectly honest, these issues have been with beardies that have come to me via rescue. Or, illness, etc. So again, directly linked to care problems. But the main issues with shedding would be stuck or retained shed and the under supply of vital nutrition. With the stuck shed, this tends to affect a few areas mainly: the top of the head; feet; tail; eyes and the underside, or belly of your Beardie. With this, I can also narrow down a few causes for such based on my experiences dealing with this. And again it's lack of substrate and surfaces to aid the shed removal process naturally. Often these beardies will be those housed on paper, tiles, carpet, and if that's how you want to keep your beardie, it’s entirely your choice. But there are many downsides to keeping this way. This potential issue being just one. Often any retained shed will get removed on the next shed. Causing little to no issues to the Bearded Dragon. But it’s well worth increasing hydration levels via fully hydrated live food. Extra hydration within the greens by adding some cucumber. A little lettuce even (it DOES have its uses). The under supply of nutrition is another primary cause of any shedding issues. Reptiles (not just Bearded Dragons) that are poor shedders, are often B vitamin deficient. As well this, the body’s Vitamin E, D3, Calcium, & Magnesium supplies are all essential in aiding the body shed process. So I'd honestly recommend the use of both Arcadia EarthPro-A as your Calcium based multivitamin. This is loaded with 9 'B' group vitamins, and bee-pollen. Which has a host of nutrients in itself. I personally use this daily (or every feed). And have done since its release a couple of years ago. The only other addition to my supplements is the newer Arcadia EarthPro Mg (Magnesium). This I use once a week with Bearded Dragons under 12 months. Once every 2 weeks with adults. As mentioned above. Both the B vitamins and magnesium are vital components to a healthy shed. This certainly keeps any under supply issue at bay. Another thing I'd like to mention and it’s fairly new on the market is Arcadia Shed Support. This product has a double dose of essential B vitamins, carotenoids, bee-pollen and also plant extracts which will allow the body to assimilate natural vitamin E.
These essential vitamins and minerals will aid the body from the inside. To help the shed process naturally. Start using it when you first notice the dulling of colour which we all know as a pending shed. (Dosage and more information is on the packaging). The worst I've seen regarding shed issues, have been around the feet, tail, and eyes. I've witnessed it cutting off blood supply. Causing swelling in the area (feet in most cases). Again, if this is already an issue do not wait for the next shed. Go to your exotics vet. They can aid you further. So when a shed is complete, or an area of shed has come off, I suggest you have a closer look. Make sure the area is clean, fresh and has no shed stuck on. Pay close attention to the areas of the eyes, feet and the problematic areas mentions above. It’s always worth making your exotic vet aware of any concerns. That way, if needs be, they have the information on hand to help you with any potential problems. Spike the Bearded Dragon - thank you to Emma Mulligan for sending us the picture. 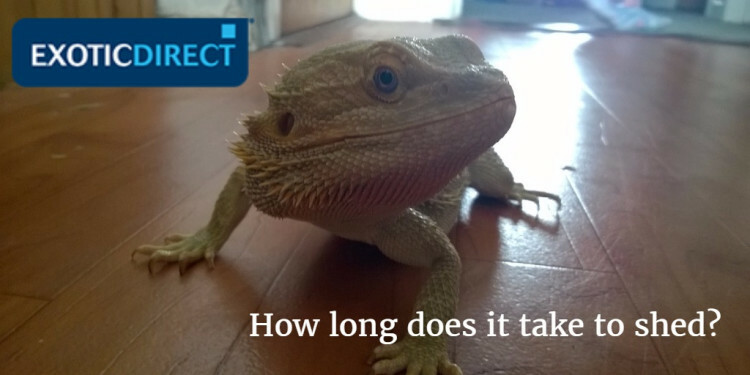 How long does it take for a Bearded Dragon to shed? From start to finish the process will be around a week. But if it’s a little longer, if it's causing no issues, it's not a problem at all. 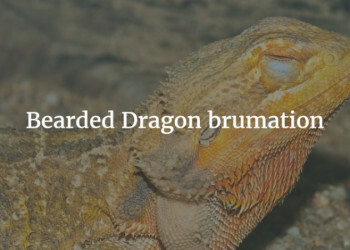 The frequency of shedding is dependent on the age of the Bearded Dragon. As covered in the first section, the younger they are, the more frequent the shedding. Shedding between 0-6 months old: You can see these shedding almost weekly. This again, is due to the rapid growth. So you'll expect this shed to only last a few days from start to finish. 6-12 months: Most of the 'rapid' growth is done. But still lots to be had. So shedding here will be maybe a couple or three times a month, at most. You may find now, the shedding is more random, meaning instead of the whole body sheds of the young, it’s more shed of the body. Then a week later the head, etc. This is quite normal, so don't worry. 12 months onwards: The Beardie is nearly fully grown at this stage. He'll be shedding less frequently. After around 18 months: The Bearded Dragon should be fully grown. So shedding will be only a couple of times a year. And again, it will be very sporadic, a week to shed the head. Then maybe a couple of weeks later, the back will start. 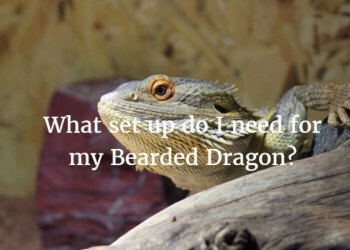 This is very common amongst Bearded Dragon keepers. In fact, many reptile species partake in the shedding/pre-shedding blues. This can involve them going off their food, hiding away and being less active. This will usually be for only a few days. Or, a few feeding days. Again, don't worry here. If you can see shedding is happening, or imminent, then that will generally be the cause. Of course have a good inspection of your beardie. Check for any issues as mentioned above and if no shedding is happening, then I’d suggest a vet visit. It’s well worth keeping an eye on your Bearded Dragon's weight if they refuse food, regardless. With a 'healthy' adult that has a stock-load of nutritional reserves throughout the body it’s not so much of an issue. And you will rarely see any loss of weight. Even after a number of weeks of not eating. If weight loss is happening, then again, consult your vet as there may be other issues involved (parasites, etc). But for a baby or younger beardie going off food can be more problematic. I have found though, due to their nature and mentality of 'eat to get bigger' in that first year of its life the shedding rarely affects them anyway. But if it does, it’s only for a day or so. But again, any longer than this can mean other problems. So, consult your exotics vet for a check-up and further advice. Why is my Bearded Dragon not shedding? For an adult Bearded Dragon, I really wouldn't worry. If you have quality UVB lighting, the correct heat gradient, hydration, and diet, they will shed when they need to. Again, think of this as a change of clothes for an adult beardie. It will happen eventually if all is catered for as needed. For a Bearded Dragon aged 0 to 12 months, if the beardie is not shedding at this age I'd seriously look at your husbandry as well as consult your vet. 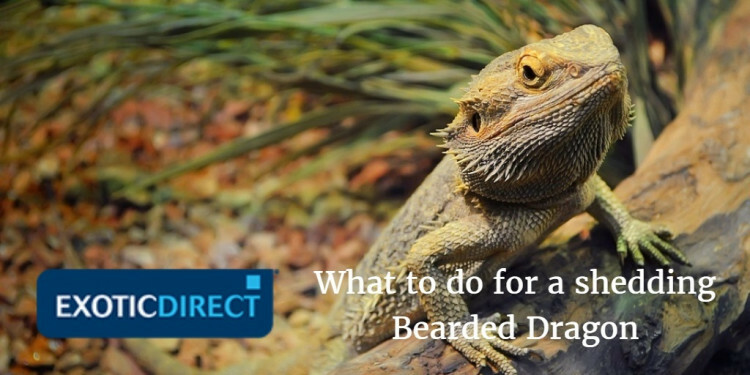 As already mentioned, without the essential use of proper heat and light, hydration, supplements and diet your beardie won’t be able to make use of what it has evolved over millions of years to require to get through such a process. If you feel all is correct here then I'd suggest a vet visit. As there could well be underlying issues such as issues with parasites or co-habitation etc. This is not an issue at all, providing your setup is clean, and the eaten skin was not in any faecal waste. It's also common practice for many lizard species to do this, more so with Gecko's. The skin is a source of calcium and other nutrients. So again, see this as a natural survival instinct. It is also thought directly linked to removing any trace of them being in a particular territory. Although I'm not sure on how valid this claim is, having not seen any comprehensive evidence to support this in any research I have done. A prolonged sleeping session throughout the day while shedding, is certainly not uncommon. The whole process of shedding is an uncomfortable one for them to say the least. So sleeping it off means less movement. This means, it's less uncomfortable. Perfect beardie logic, right? But the down side of this is less movement means the longer the shed process will take. A healthy Bearded Dragon will be rubbing its head, underside etc, on your vivarium décor to aid the loosening up of any shed. Sure, they may have a longer lay-in in the morning, or go to bed earlier, but again it shouldn't cause to much of a change regardless. Certainly if they are completely lethargic and uncharacteristic in their over-sleeping and behaviour, I'd consult an exotic vet as there could well be other underlying issue here. Pete Hawkins was voted The Reptile Report's: Lizard Personality of the Year 2016. You can find his articles in magazines worldwide including Practical Reptile Keeping Magazine; Reptiles Magazine;Canadian Reptile Hobbyist magazine, to name a few. Pete is also at Reptile Apartment. 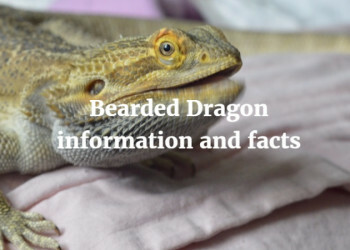 He is active in his Facebook groups: Bearded Dragons Network. Chameleon Network. Snake Network. Lizard Network. Gecko Network and Amphibian Network. What set up do I need for my Bearded Dragon?